Great Opportunity to own 2 rare Transworld Business Advisors Territories in New York. This is a rare opportunity to own 2 territories at a discounted price. Current owner is selling as they are moving out of State. The territories are covering all of Five Towns and Jamaica Queens N.Y.
As a Transworld franchisee, you will become an important part of the small business community. In your role as a business advisor, you will provide guidance, solutions and, of course, advice to your clients to help them grow, buy, or sell their businesses. The sale or purchase of a business can be the most important transaction of someone’s life, which is why the role of business advisor or business broker is so crucial. 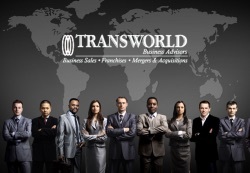 Established in 1979, Transworld Business Advisors was originally founded in South Florida. It quickly grew to the largest business brokerage in the U.S. For over thirty-five years, Transworld has specialized in the sale of businesses and commercial real estate. Today Transworld Business Advisors is a global network of brokers offering a turnkey solution for those that want to build a solid business and future for themselves while maintaining a balanced quality of life. With our comprehensive training programs, full marketing support, and local field support, you won't have to start from scratch. Our trained experts and mentors will help you every step of the way. To find out more about this Transworld Business Advisors Territory for Sale please fill in the form below and submit.